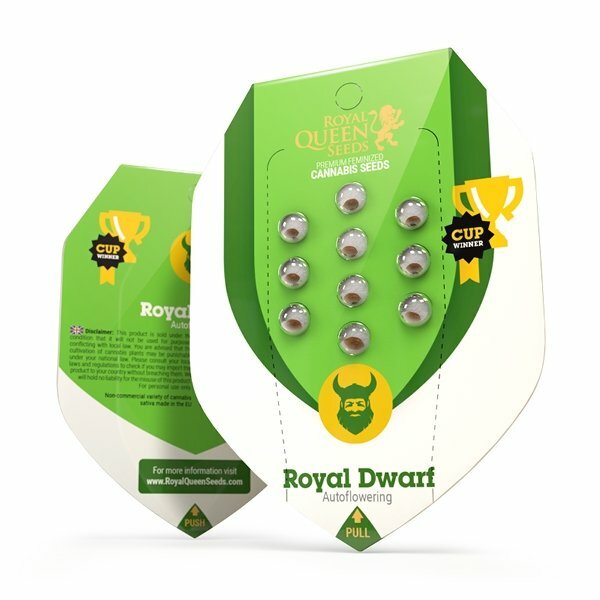 With a similar genetic background to our Easy Bud strain, but with the inclusion of a Skunk variety, Royal Dwarf is a short and stout autoflowering cultivar. This bonsai-like strain is easy and compact—just perfect for indoor growers and those looking to achieve multiple crops per season. By combining potent Skunk genetics with a ruderalis variety, the hardiest, most compact strain known as Royal Dwarf churns out impressive yields for a plant of its stature. 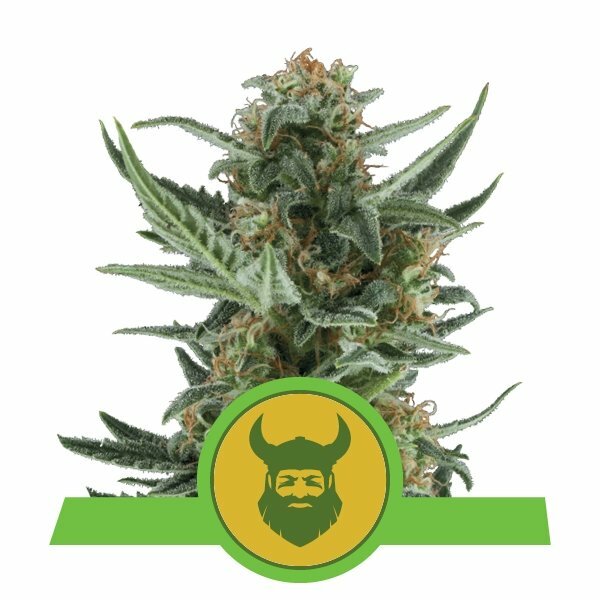 Reaching only 40–60cm in height, this feminized autoflowering variety isn’t only fast-flowering and the ideal size for a discreet guerilla grow, her intense aroma will remind you of the potency contained within her buds. Who needs a bonsai plant when you can crop a miniature cannabis tree that will have you surfing the cosmos? The plant’s tight buds and resistant nature are further heightened by its brief life cycle, which completes in 8–9 weeks from seed to harvest. By the end of the flowering phase, resin-covered flowers will impress the cultivator who didn’t believe autoflowering strains could really deliver. Royal Dwarf produces decent yields of up to 80g/plant outside, and up to a very respectable 200g/m² under ideal indoor conditions. 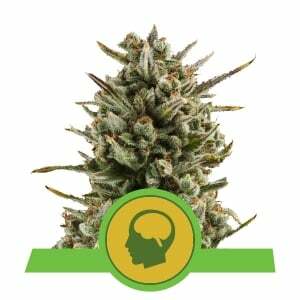 Being a sativa-dominant cultivar, Royal Dwarf encourages social, uplifting highs; yet the experience is rounded out with a relaxing, soothing effect that brings out the best from the Skunk genetics. 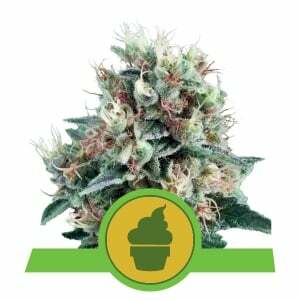 You can’t grow wrong with a low-profile strain that has been hybridised to perfection by the expert team at Royal Queen Seeds. Start your cultivation exploration today and find out all there is to know about Royal Dwarf! Comment : 100%Time after time. Comment : La pianta ragalatami da questi semi ha delle grosse cime! Molto più grandi di quanto sperato. E contrariamente al suo nome è cresciuta sana e robusta nonostante le poche cure che ho avuto tempo di dedicarle, consigliatissima! Comment : Seeds germinated! Lets see how the plant is going to be in a few weeks! Comment : Was amazed with the results, my neighbours were growing and no where did I see the same sort of buds or even close. Like small trees, sturdy, big buds, big stem. Comment : Mein Gott, was für Böller!!! Wenn Ihr was zum couchen braucht.....Erste Wahl!!! Ist wie ein Kriegshammer-Schlag auf die Stirn!!! Bääääm.....drei Daumen hoch!!! Comment : Grown under 300w Led (175w actual) in a grow tent using tomato nutes. This was grown, harvested and dried in 80 days. I had no problems at all and the dry harvest was 50g. The smoke is very uplifting. RQS are the best and I will continue to order from them. Comment : Seeds are very good, sometimes they act/grow differently with description but on the whole totally OK. Pity not to mention customer service in RQS which always act similarly: Excellent! Comment : Can't believe it's only rated 13% thc. This stuff is dank!